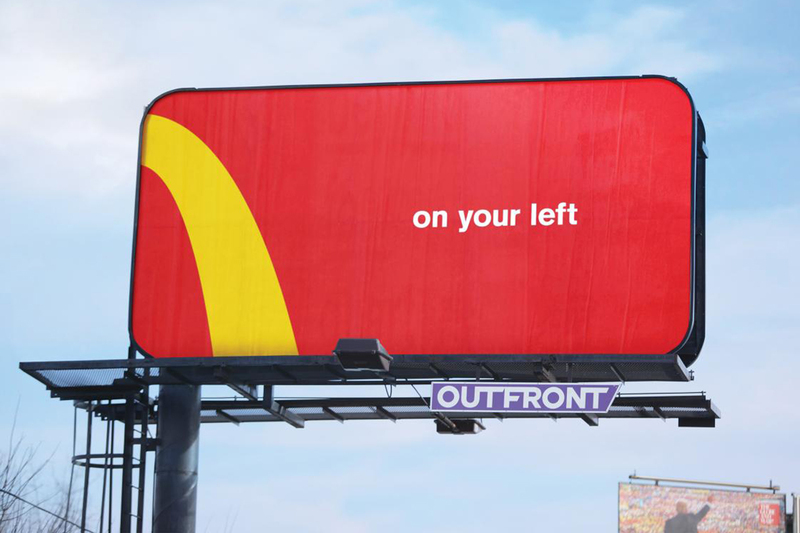 While MacCoin won't appreciate in value in the bank, each of the more than 6.2 million coins being distributed can be redeemed for a Big Mac at McDonald's restaurants in more than 50 countries. 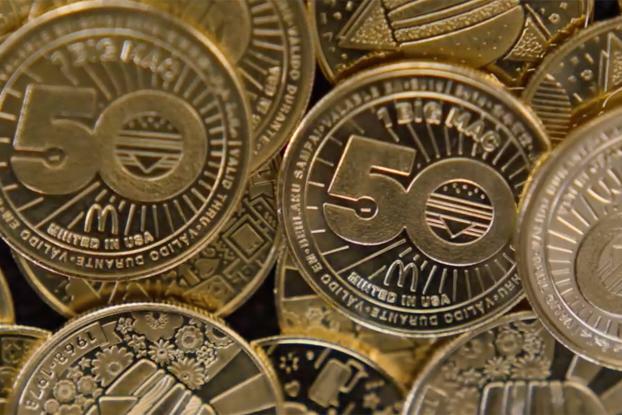 "The MacCoin transcends currencies to commemorate our global iconic burger while giving customers all over the world a chance to enjoy a Big Mac on us," McDonald's CEO Steve Easterbrook said in a statement. Or, fans can just forgo the freebie and start a collection. There are five different designs, each representing a decade in which the Big Mac has been sold: The '70s showcases flower power; the '80s focuses on pop art; the '90s has some abstract shapes; the '00s suggests tech advancements (that seemed cool more than a decade ago); and the '10s coin is meant to call attention "to the evolution of communication," according to McDonald's. Suggesting the global appeal of the iconic burger, there are seven languages featured across the various designs: Arabic, English, Indonesian, Mandarin, Portuguese, French and Spanish. Speaking of coins, one only needed a few--or just a half-dollar coin--to get a Big Mac when it hit the national U.S. menu in 1968 at the price of 45 cents. 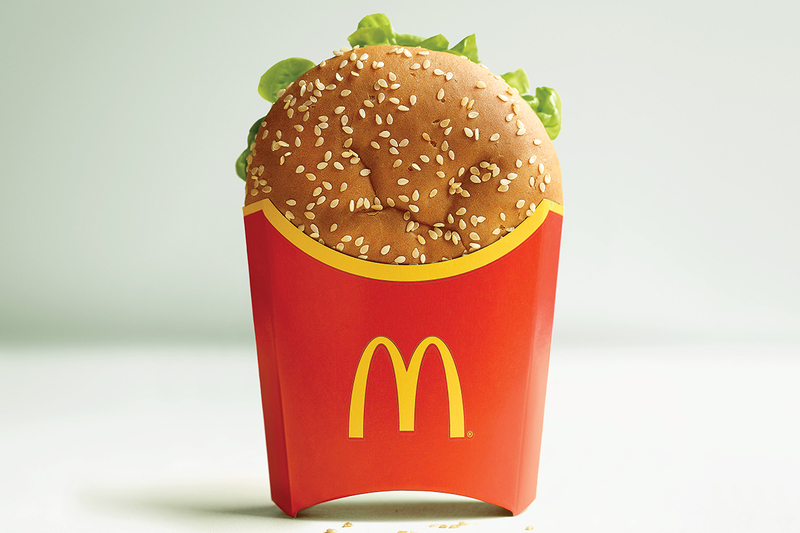 To get MacCoin, fans can buy a Big Mac, starting at lunchtime on Aug. 2. There are also various giveaways planned. The coins are redeemable from Aug. 3 through the end of the year. They follow last year's efforts to promote the Big Mac with the larger Grand Mac and the smaller Mac Jr. and giveaways of bottles of the special sauce.